Change things up with these side-trips from Saariselka: Inari (Pielpajarvi Wilderness Church, Siida, & more). 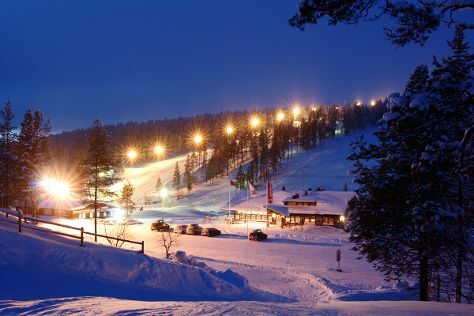 On the 15th (Fri), spend an exhilarating day on the slopes at Saariselka Ski & Sport Resort. To find ratings, other places to visit, photos, and more tourist information, you can read our Saariselka vacation planner . In February, daily temperatures in Saariselka can reach 22°F, while at night they dip to 9°F. Cap off your sightseeing on the 19th (Tue) early enough to travel back home.